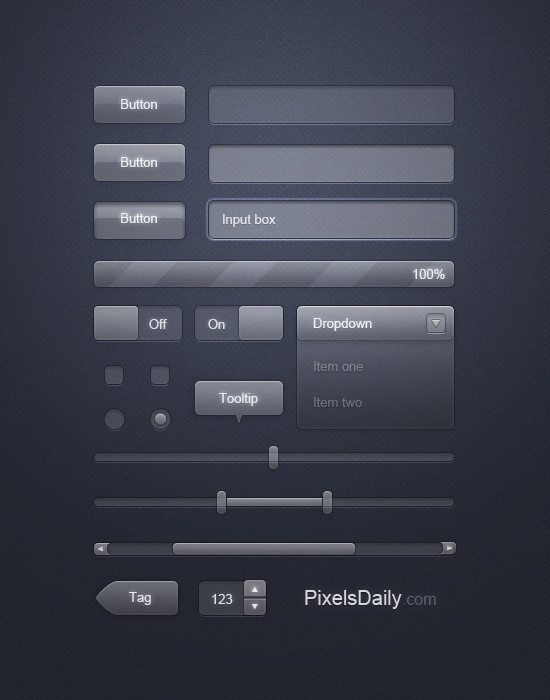 This free user interface pack, brought to you by PixelsDaily, includes a variety of popular elements used in web application and website design. Every element has been carefully handcrafted to maintain consistency and quality making for a better user experience. The included PSD file is well organized and ready for customization. Due to the transparency of the UI elements, they are flexible and should work well with any background. This pack was designed and brought to you by Liam McCabe, founder of PixelsDaily, a website that takes pride in posting high quality freebies (like this one) everyday! There is a number of interfaces and one for every website, from a college’s to a restaurant’s!